Practicing medicine in China has become an even more high-risk business. In ten days in October, China reported at least six attacks on healthcare workers. In the most recent case, a man, unhappy with the results of an operation, fatally stabbed a doctor and wounded two others in a hospital of Zhejiang province. 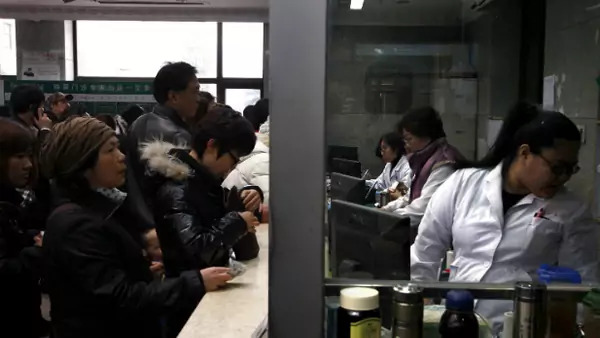 Rising violence against healthcare workers has not only discouraged doctors in China from adopting medically necessary but risky procedures, but also—in conjunction with the problem of doctors’ low base salaries—provided strong disincentives for practicing medicine in China. According to a survey carried out by the Chinese Hospital Association (CHA), 29 percent of the healthcare workers prefer self-protecting medical procedures, 40 percent are considering changing professions, and 78 percent do not want their children to become a healthcare professional in the future. Violence against healthcare staff is not new in China; it has been a topic of media concern since the early 1990s. Neither is China the only country experiencing violence against doctors. A 2012 International Committee of the Red Cross (ICRC) report found that in almost all the 22 countries studied, health services were affected by actual and threatened violence, and eight countries recorded 40 or more incidents. The ICRC report documented a total of 921 incidents of violence that affected healthcare services and 1,840 total acts or threats of violence, which means that each incident involves an average of two acts or threats of violence. The magnitude and seriousness of the violence against doctors in China nevertheless defies conventional wisdom. Based on the same CHA survey, China in 2012 is estimated to have experienced more than 620,000 incidents of such kind. This is particularly surprising given the decrease in other types of violent crimes, such as robberies, rapes, and bombings in China since 2001. Interestingly, the new round of healthcare reform, kicked off in 2009, has not been translated into reduced violence in Chinese hospitals. According to the CHA survey, between 2008 and 2012 the proportion of Chinese hospitals reporting violent conflicts between patients and healthcare providers increased from 48 percent to 64 percent, while the average number of violent attacks directed at healthcare workers in each hospital covered by the study —which can take the form of verbal abuse, threats, beatings, and even murder—increased nearly thirty percent (from 21 to 27). Indeed, an argument can be made that it is precisely the healthcare reform that has exacerbated the problem. During the 2007-11 period, healthcare cost has continued to increase: the cost of inpatient and outpatient services saw an annual growth of 10 percent, higher than China’s GDP growth rate. Meanwhile, despite the expanding health insurance schemes in China, the benefits level remains low. On average, only 30 percent of total outpatient service spending and 50 percent of total inpatient service spending can be reimbursed. As a result, the absolute out-of-pocket payment level remains high for a majority of the population. The failure to fundamentally solve the problem of affordability and access, coupled with over-prescription and over-treatment issues in the hospitals, fuels tensions between patients and healthcare providers. This occurred at a time when the healthcare reform released latent demand for more and better health care, further increasing the workload of healthcare workers. Between 2000 and 2011, daily visits received by a doctor increased by 52 percent, while daily number of inpatients served by a doctor increased by 85 percent. In consequence, the doctors spend even less time with patients, and the quality of services they provided is negatively affected. Resentments from both sides eventually create a hair-triggering situation in China’s hospitals. Effectively addressing the rising violence against doctors therefore calls for more comprehensive and in-depth reform in China’s healthcare sector.